Rita Morgan-Ced is the Hearth Holder and Witch Mother for the Ced Tradition and family line. Together with Griffin Ced, the Devil and Father of the Line, they have led the Line and Tradition in the USA for the past 20 years. Hailing from Los Angeles, California, Rita descends from a long line of millers who left Hertfordshire for the New World, landing in Massachusetts. The Witchblood started to manifest itself when she was about seven, but as she was raised in a strict Mormon household, it was rigorously suppressed. Through her teenage years, marriage, and young single motherhood she struggled with her spirituality. Then one morning she woke up with the words, “Come on, you know you don’t believe any of this.” Realizing the truth of the statement, she started investigating many other avenues of spirituality: the Edgar Cayce association, Rosicrucianism, etc. Already having a predisposition to witchcraft, her path led her in that direction. Finally, her path crossed that of Griffin’s, and for the past two decades they have been working on building community and the Ced Tradition. Rita also teaches and leads public rituals and continues with that commitment as an owner and Store Manager of the Crone’s Hollow store in Salt Lake City, Utah. 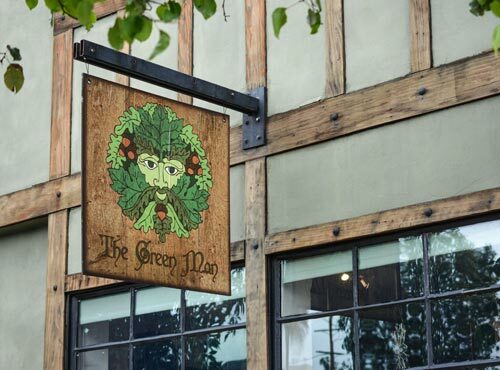 Rita is often at the Green Man Store working with Griffin leading rituals and helping around the store.